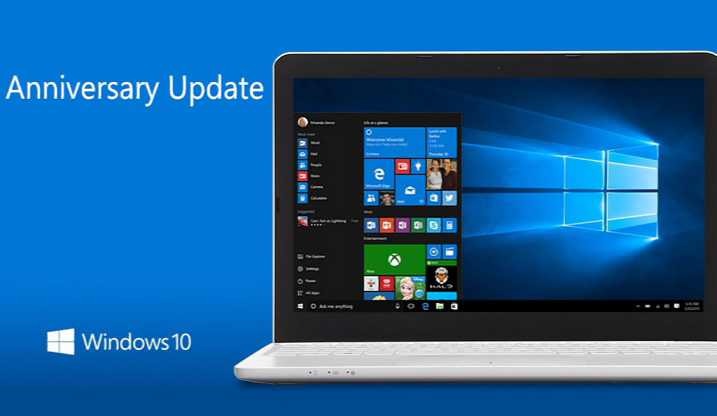 Microsoft Windows 10 update KB4019472 build 14393.1198 is now available for download for Anniversary Update users. The latest Windows 10 update KB4019472 fixed an issue where the BitLocker Drive Encryption wizard shows the “Choose which encryption mode to use” page even when the BitLocker GPO is enabled. The update also corrected an issue that causes users to get logged out from a Web-application intermittently. The new update includes a big list of bug fixes and performance improvement and enhancements to the OS. Check out the change log below. If you are facing issues like update KB4019472 download stuck, the update fails to install or blue screen (BOSD) error after the installation, you can head over to here for the fixes. Microsoft has already delivered Windows 10 version 1703 also refer to as Windows 10 Creators Update to the end users. The update brings many new features and performance enhancements. The Creators Update will progressively roll out to everyone, it may take some time or months to reach you. However, if you can’t wait for that long, you can download ISO files from here. Fixed an issue where the PC Settings pages do not display the correct options after the installation of KB3213986 and a language pack. Microsoft Windows 10 update KB4019472 build 14393.1198 fixed an issue where fonts appear differently based on whether an app uses Graphics Device Interface (GDI) or GDI Plus. The update also fixed an issue where applications that use msado15.dll stop working after installing security update KB4015550. Update KB4019472 (OS build 14393.1198) addressed the issue that causes a device to become unresponsive when users try to enable end-user-defined characters (EUDCs). Fixed issue that causes a device to crash every time a user logs off from a remote session using a Virtual Desktop Agent (VDA). KB4019472 (OS build 14393.1198) addressed an issue where changing the scaling setting of the display prevents DPI-aware tools (Notepad, MS Paint, etc.) from accepting input or drawing correctly when using the Japanese IME. Microsoft Windows 10 update KB4019472 build 14393.1198 fixed an issue that causes Windows Explorer’s CPU usage to be at 20% when an executable file is hosted on a file share and its Offline attribute is set. Fixed issue where Windows Event Forwarding between two 2012 R2 servers makes reports incompatible with third-party Security Information and Event Management software. Fixed issue where the BitLocker Drive Encryption wizard shows the “Choose which encryption mode to use” page even when the BitLocker GPO is enabled. KB4019472 (OS build 14393.1198) addressed an issue where AppLocker fails to block binaries with revoked certificates. Microsoft Windows 10 update KB4019472 build 14393.1198 fixed an issue where a virtual machine (VM) loses network connectivity if the VM does not send Address Resolution Protocol packets for five minutes and the VM is connected to a wireless NIC. KB4019472 (OS build 14393.1198) addressed an issue that causes the loss of a VPN connection when using a computer with an integrated WAN card (cellular card). Fixed issue where multipath I/O did not properly restore service after the check condition “Illegal request, LUN not available (sense codes 05/25/00)” occurs. Fixed issue where a Stop 0x27 error occurs after a user provides the domain username and password. Microsoft Windows 10 update KB4019472 build 14393.1198 fixed an issue where users can create folders on a USB flash drive when “Deny write access” is set for Removable Storage Access. Fixed an issue where crash dump generation hangs at 0% on a system with over 750 GB of physical memory and Hyper-V enabled. Fixed an issue with a paging file space leak that leads Windows to a crash, blue screen, or data loss. KB4019472 (OS build 14393.1198) addressed the issue that prevents access to a website when Automatic Rebind of Renewed Certificate and Directory Service Mapper are enabled. Fixed a crash in Services.exe with the error code “0xc0000374 – A heap has been corrupted,” and requires a system restart. Microsoft Windows 10 update KB4019472 build 14393.1198 fixed an issue where Windows Defender anti-virus definitions, which are regulated by the network, prevent other updates (LCU, drivers) from being downloaded. Fixed issue that causes users to get logged out from a Web-application intermittently. KB4019472 (OS build 14393.1198) addressed additional issues with the Windows Shell, enterprise security, Datacenter Networking, storage networking, Internet Information Services, Active Directory, clustering, Windows Server, the client platform, and Internet Explorer. Recently, Microsoft also released first Windows 10 Redstone 3 build 16188 and mobile build 10.0.15210.0 feature 2 for Fast Ring Insiders. The next major update for Windows 10 (Redstone 3) will include new features like Project NEON UI and more. The R3 update is expected to release later this year. The next major update for Windows 10 (Redstone 3) will include new features like Project NEON UI and more. The R3 update is expected to release later this year. Check your update and download Cumulative Update for Windows 10 Version 1703 for x64-based Systems (KB4019472) build OS Build 14393.1198. You can also download the offline update installer from the link below.